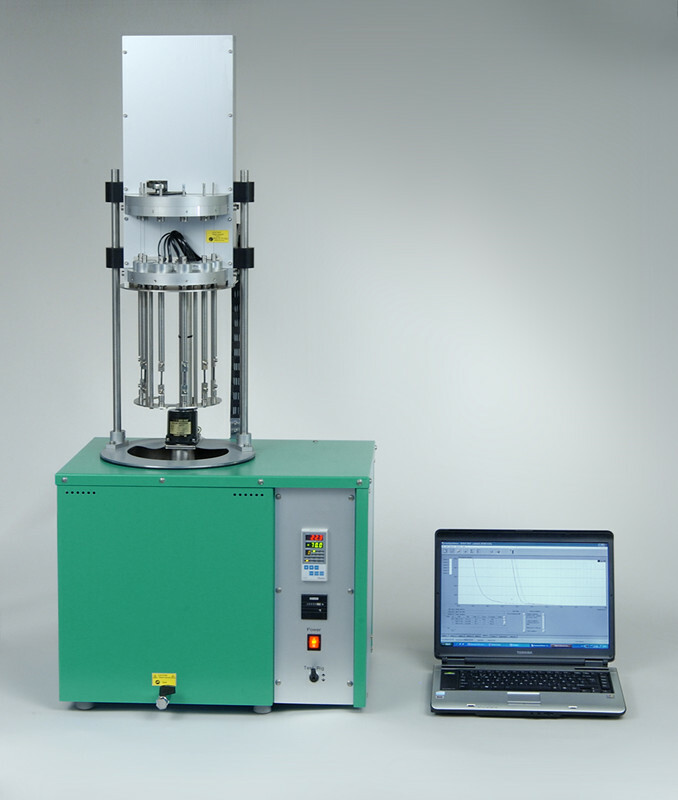 Gehman Tester - ET-02 - Relative Stiffness Characteristics Determination for determination of the relative stiffness characteristics of vulcanized or thermoplastic rubbers, also called the Gehman procedure. The test is done according to ISO 1432, ASTM D1053, or technical equivalent standards. 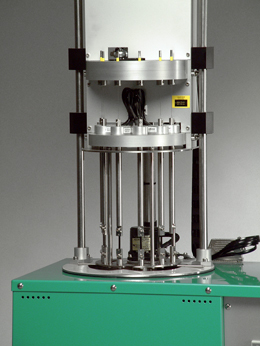 The Gehman Tester - ET-02 - Relative Stiffness Characteristics Determination, has 6 test stations, is computerized and performs the test automatically. 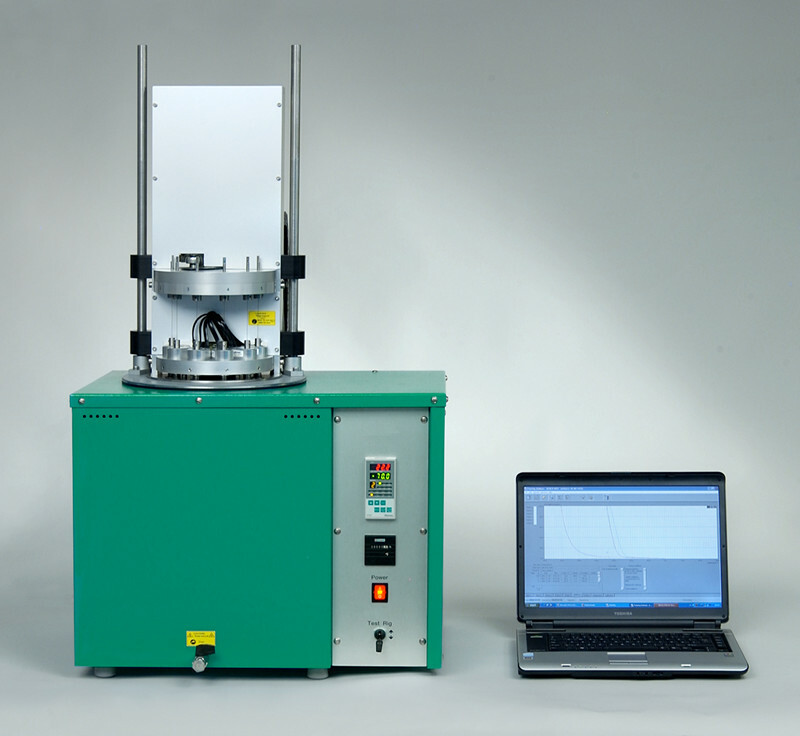 The computer controls both the temperature rise and measure the torsion angle of the samples. The results are displayed in a graph and RM2, RM5, RM10 and RM100 values are calculated. The result can be presented as a table. As an option, an automatic cooling system with liquid Nitrogen can be supplied.